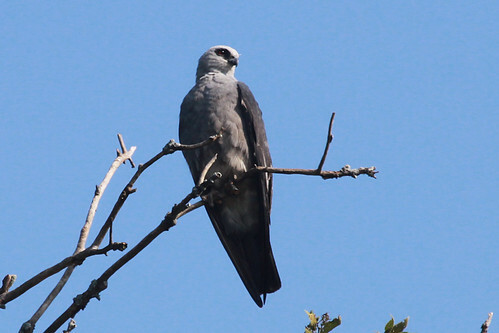 Year after year my hometown of Rockford, Illinois has been the nesting site of a family of Mississippi Kites. These birds are quite north of their "field guide" range but for the last several years they have reliably returned to the same location in northern Illinois. A few days ago I visited the spot where I've seen them for the past four years (I think my first sighting was 2008). After about 15 minutes of relaxing on a shaded bench I could hear a calling kite and a moment later, there was a beautiful adult bird gliding by. The bird floated effortlessly for five minutes or so and then continued out of sight. Each year a nest has been found but is kept secret do to the influx of photographers and birders to the area which has the potential to disrupt the birds. After five years of seeing these beautiful birds, I am still in awe at their grace and beauty and joyous they hang out so close to where I work. 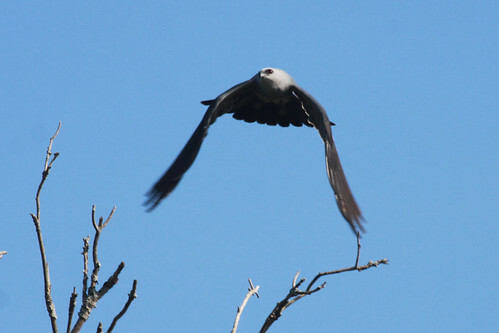 Learn more about Mississippi Kites from Cornell's All About Birds. These photos were taken in August 2010 and are much better than I could have gotten this time around. Stunning birds! 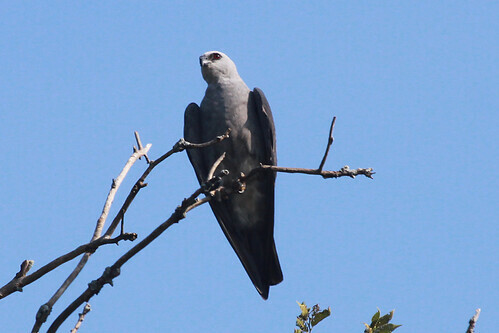 I was not aware of the Mississippi Kites nesting in Rockford, though I live in Chicago. I would love to see them! It's a beautiful bird! Unfortunately they not live here :(. Wow! Those are just magnificent wings. Nice post. A stunning bird to see... fantastic images Tammy. What a great bird & images! I viewed these birds in Rockford on July 3rd. Sat on the same bench mentioned. Found the birds in less than 3 minutes. Gorgeous birds on a hot day.